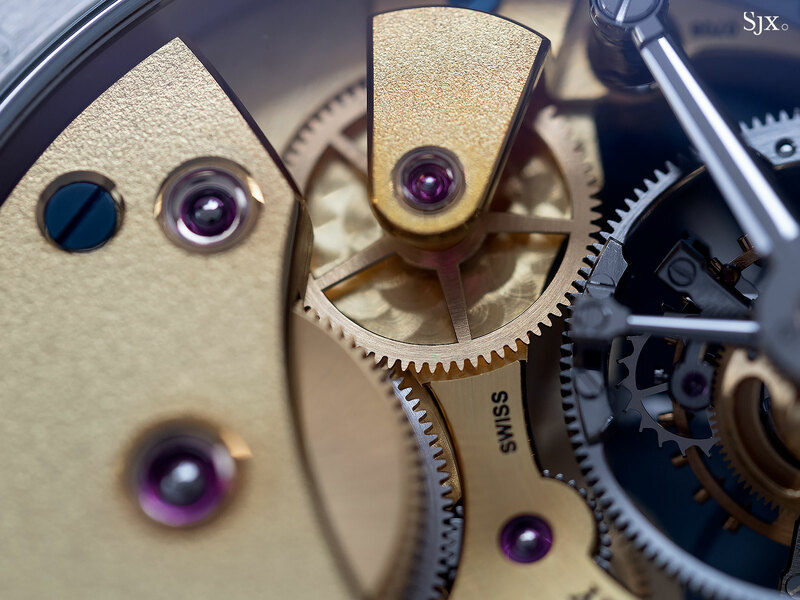 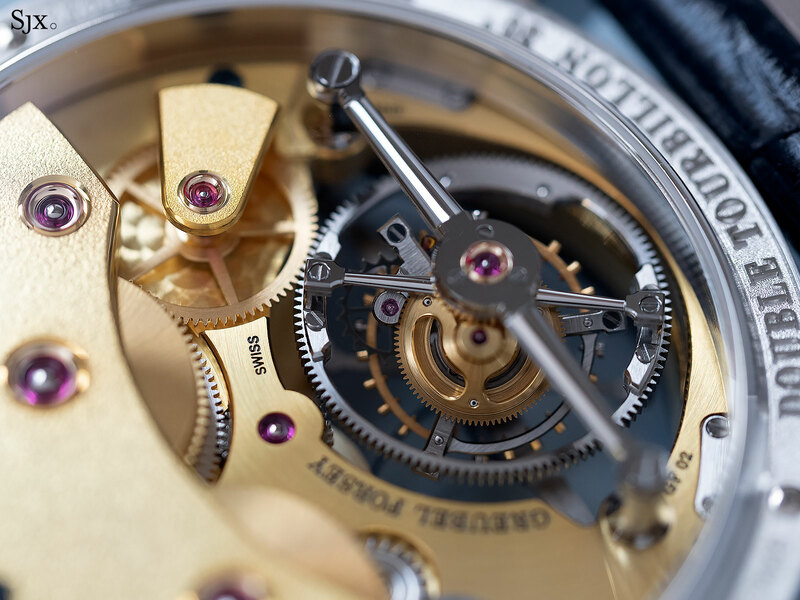 Typically characterised by eminently traditional styling, Chopard’s L.U.C watches nevertheless boast extremely finely constructed and finished movements. 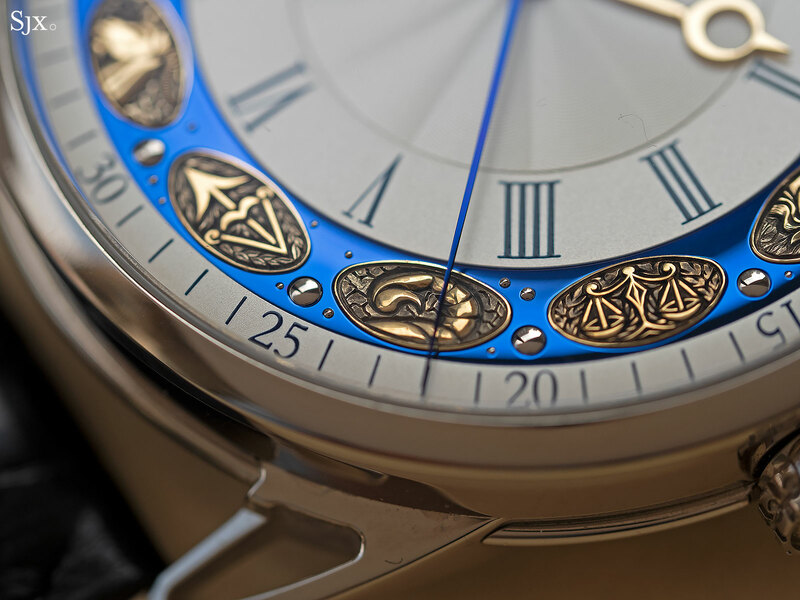 A unique watch created for the SIAR watch fair in Mexico, the L.U.C Perpetual T Spirit of la Santa Muerte departs from the usual look, having been dressed up in motifs inspired by Día de Los Muertos. 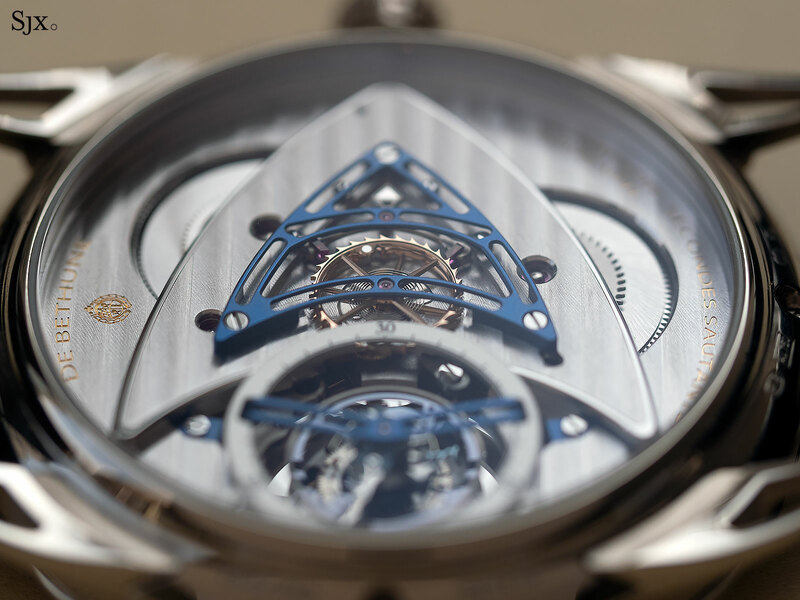 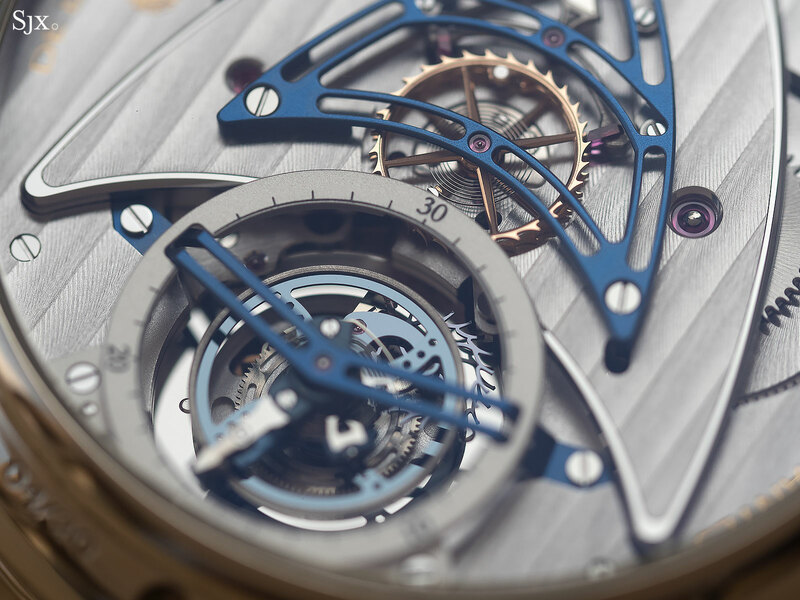 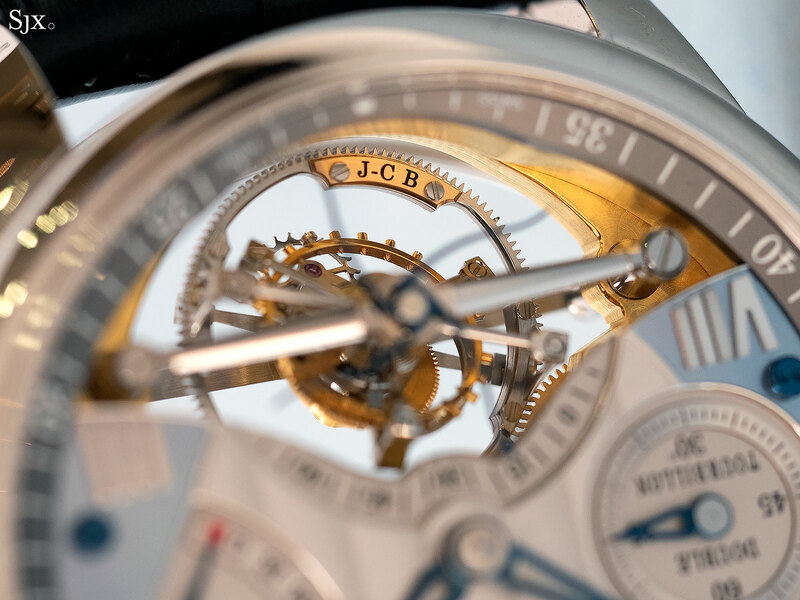 It makes for surely the most extravagant, and oddly appealing, L.U.C complicated wristwatch in a long, long time. 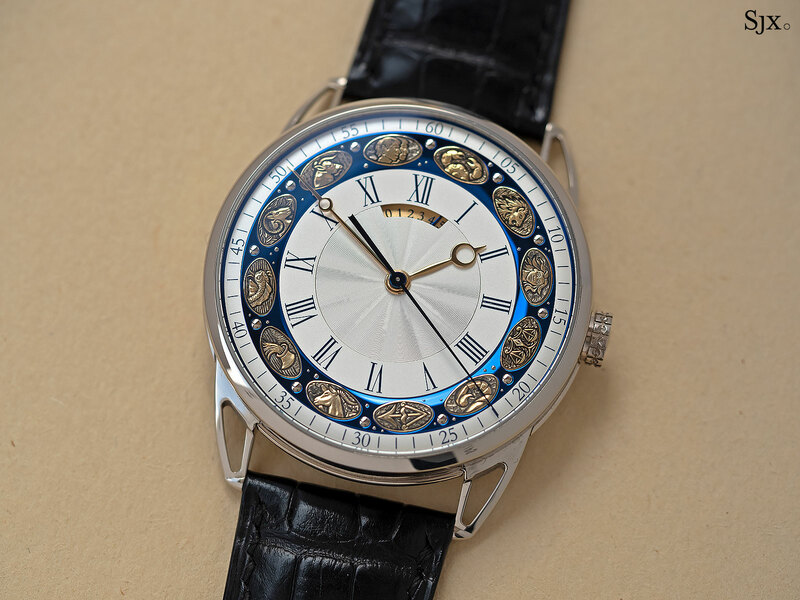 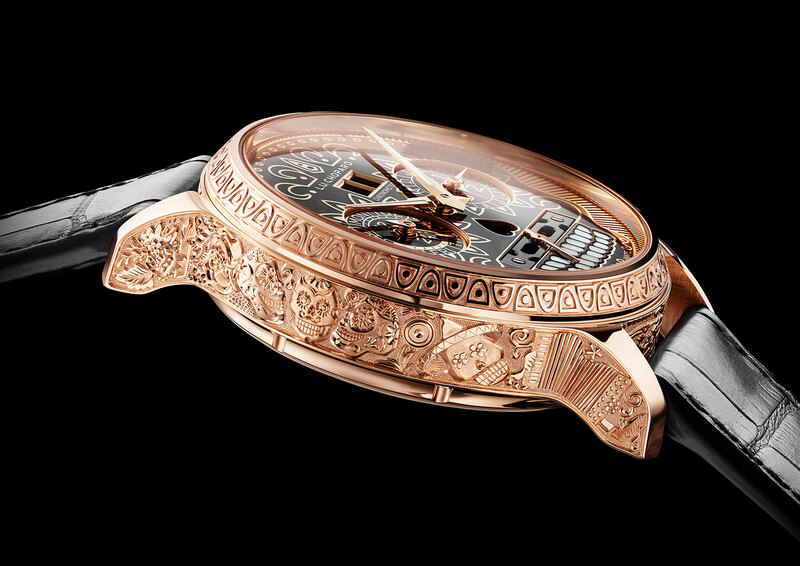 Also known as Day of the Dead, it is an annual event at the end of October celebrated in Mexico meant to remember the dearly departed, explaining the liberal use of skulls on the L.U.C Perpetual T, named after the Mexican patron saint of death, which boasts a perpetual calendar, (invisible) tourbillon regulator and nine-day power reserve. 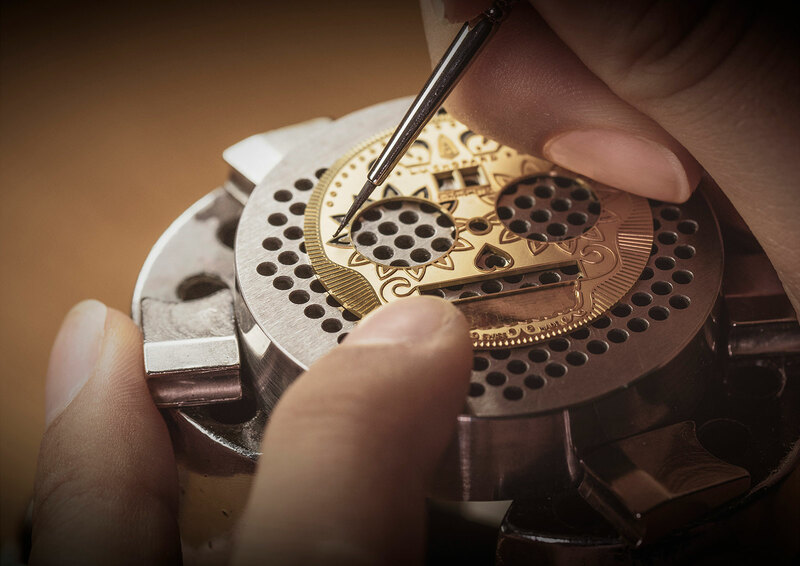 The dial is a solid 18k gold disc with a radial guilloche edge and a hand-engraved skull that’s been painted with black lacquer. 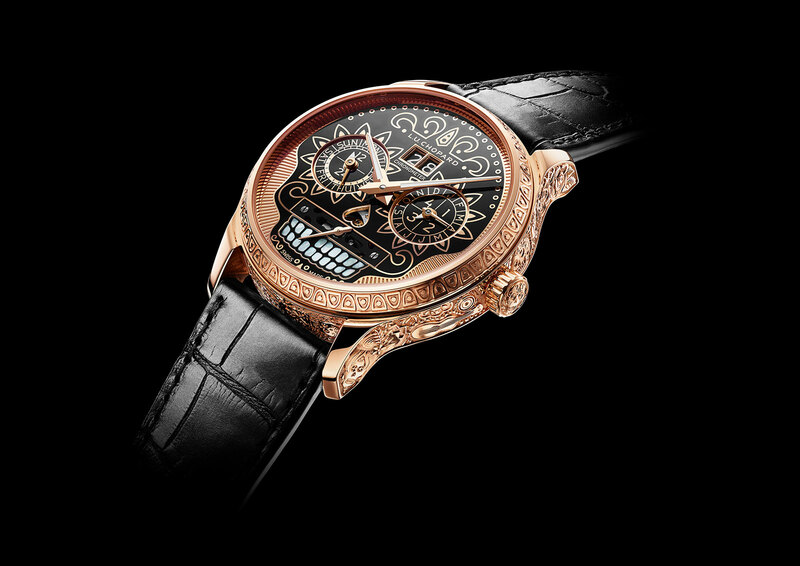 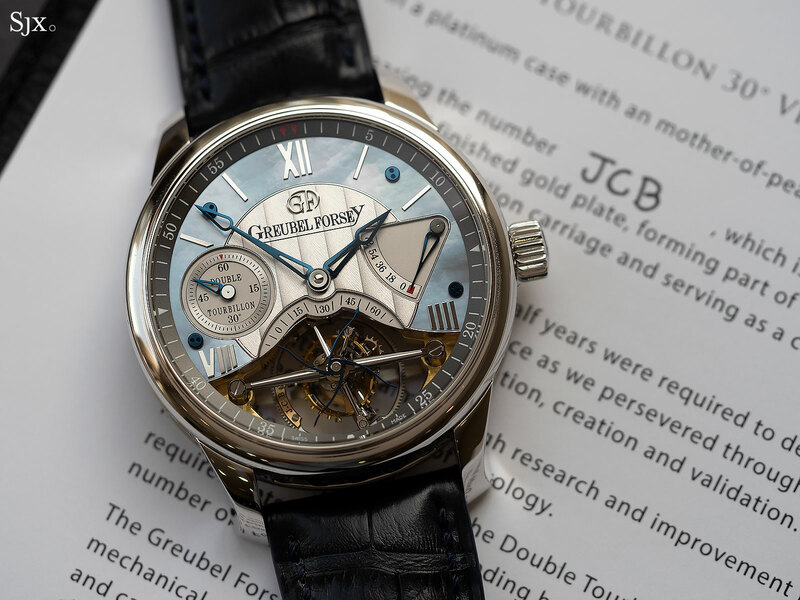 Each of the sub-dials for the perpetual calendar form the eyes, while the skull has mother of pearl inlaid for its teeth, and the black-coated tourbillon bridge forms a moustache of sorts. 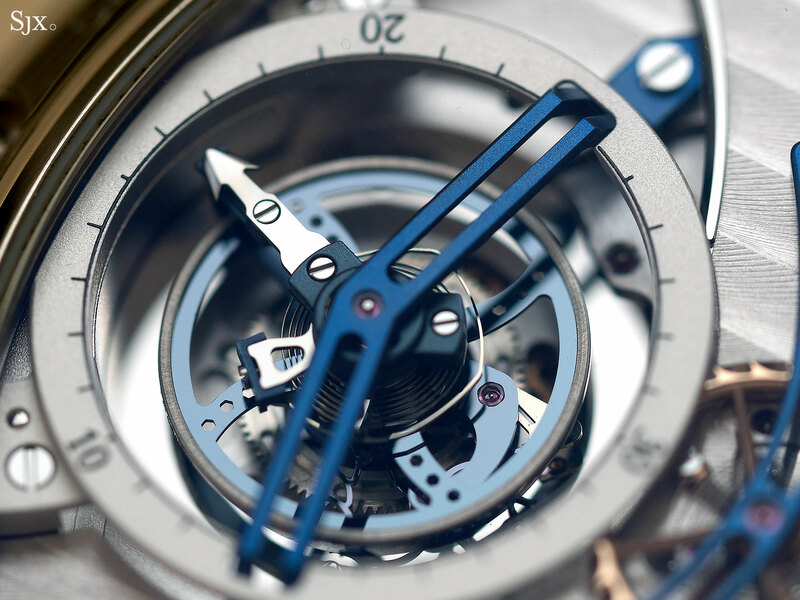 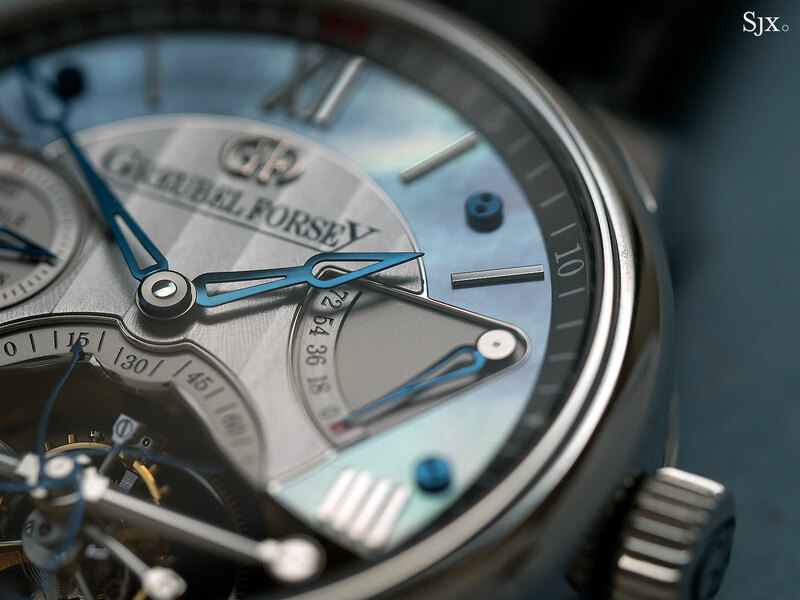 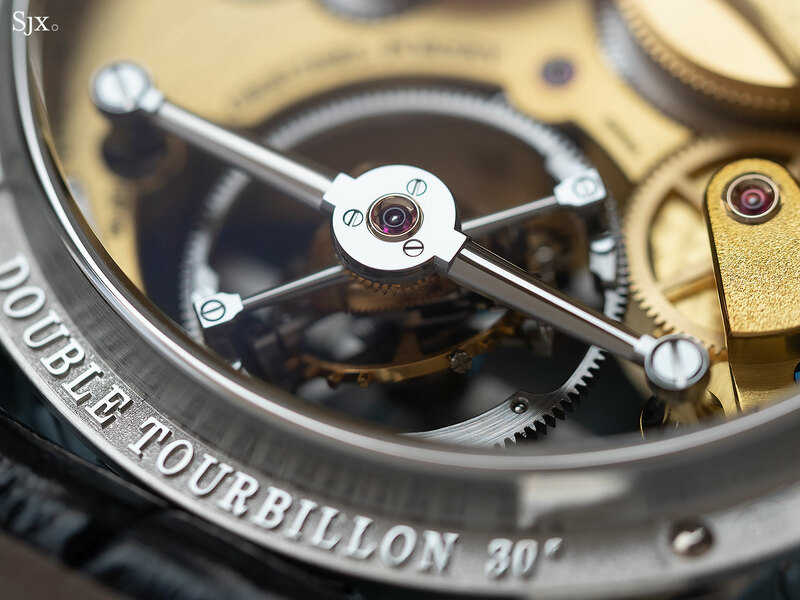 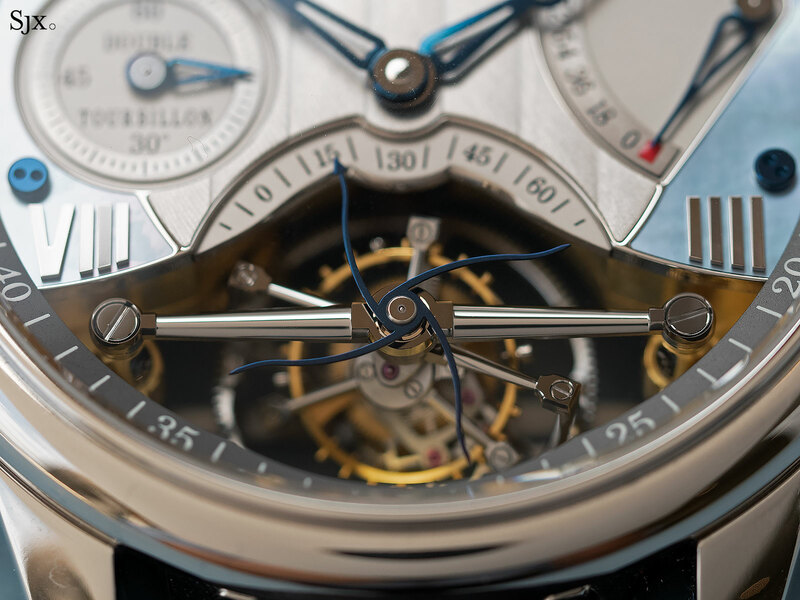 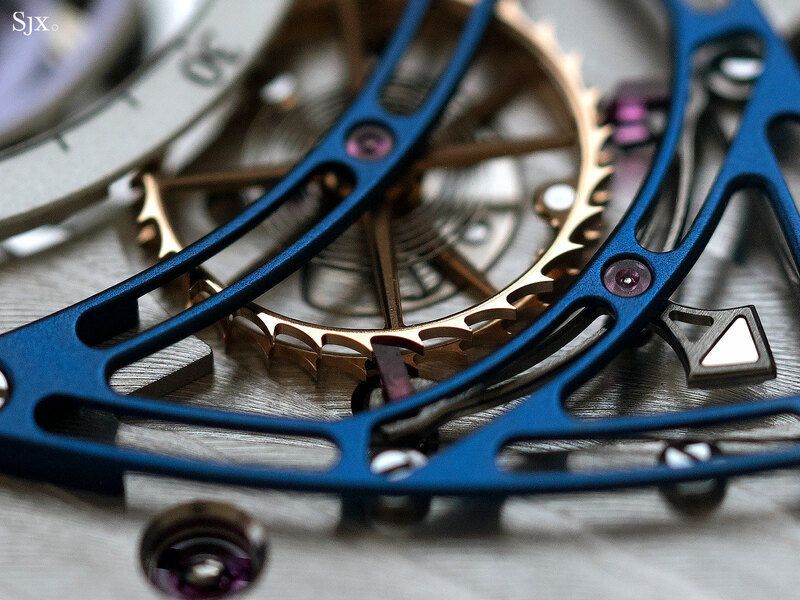 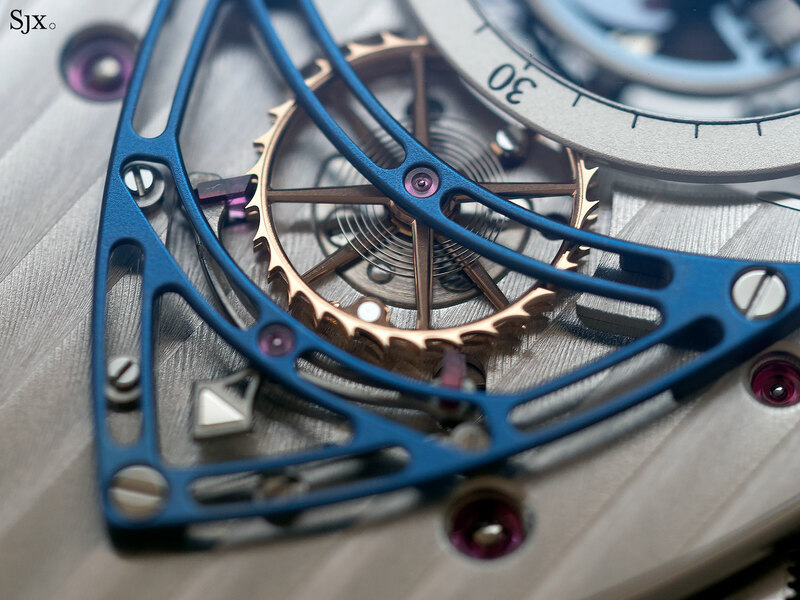 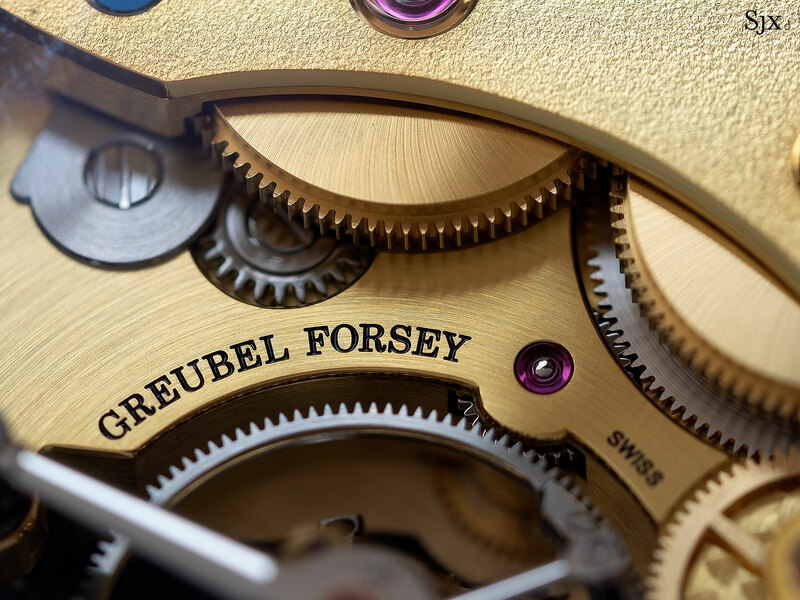 But because of the dial design, the tourbillon is entirely hidden, a discretion almost unheard of in modern watchmaking. 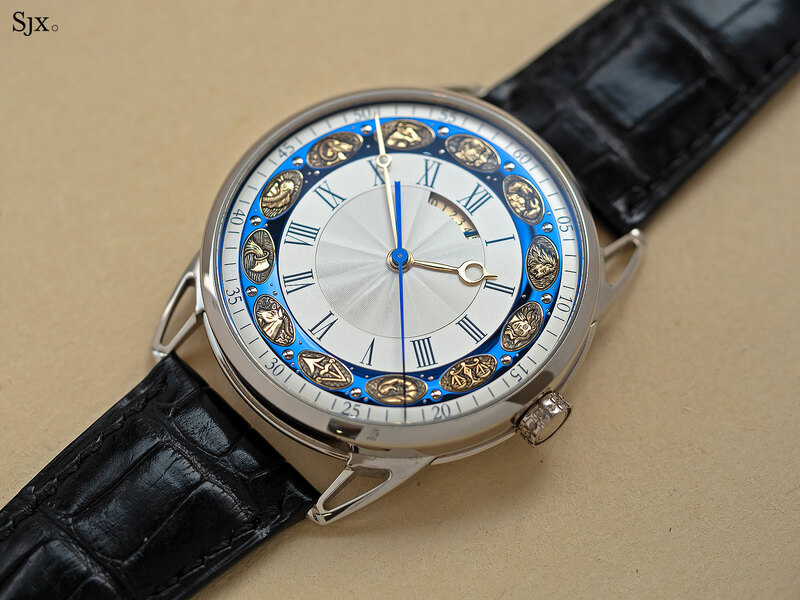 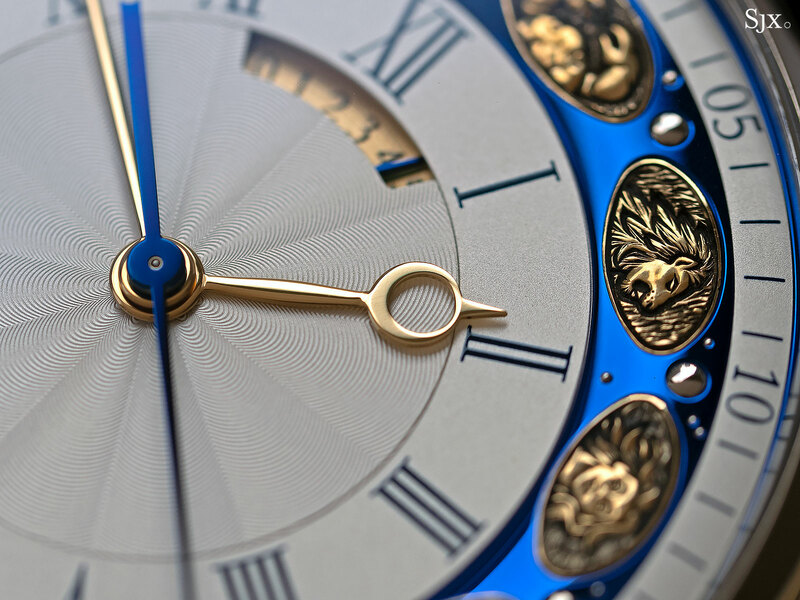 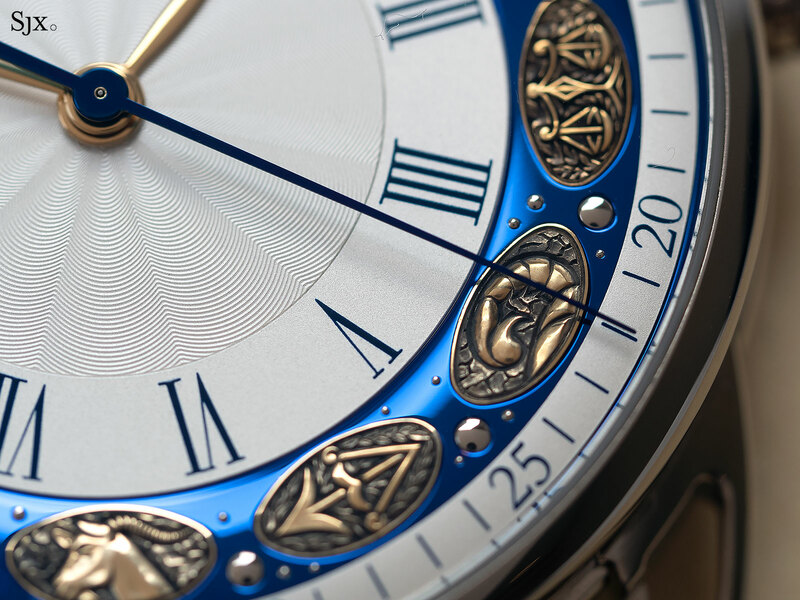 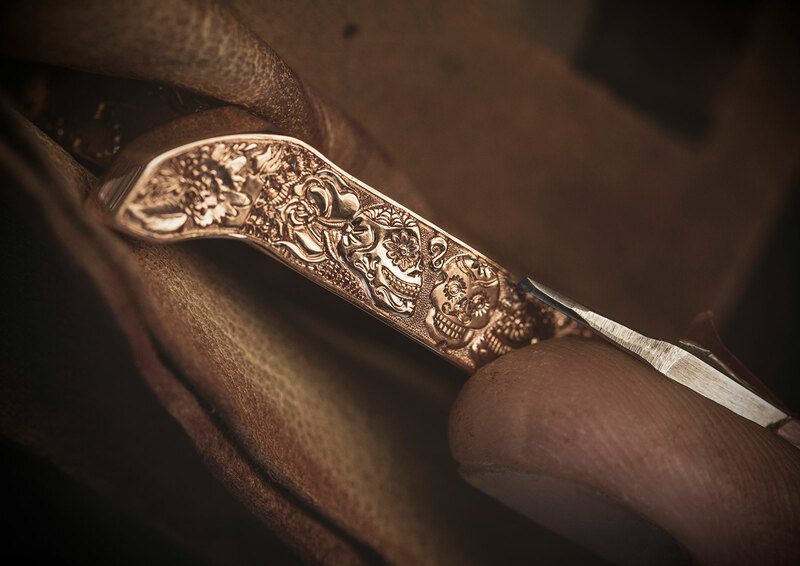 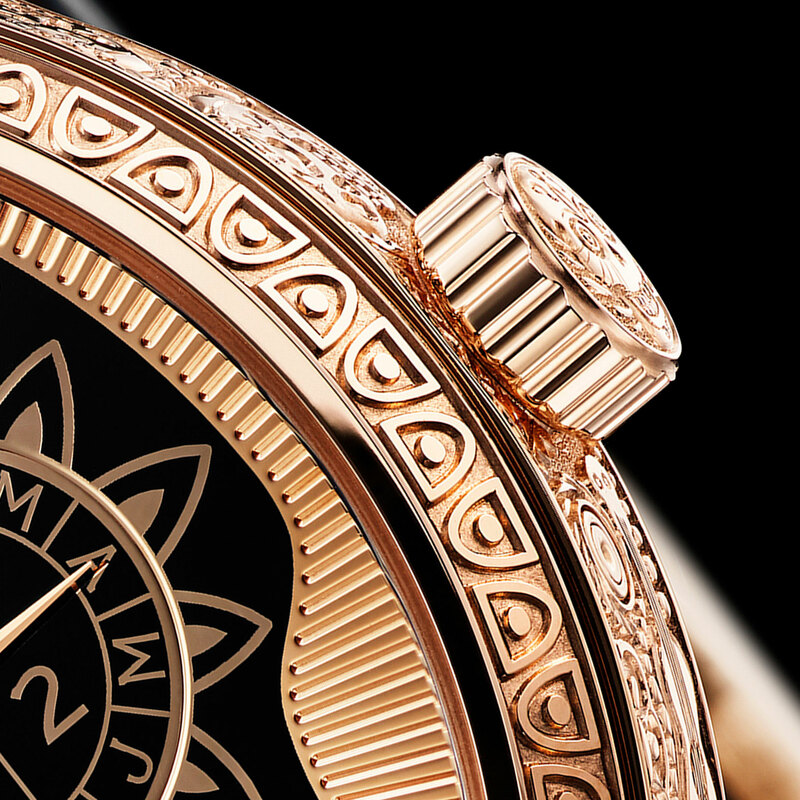 The case is a large 43mm, and in 18k rose gold, with the front, sides and crown fully engraved by hand. 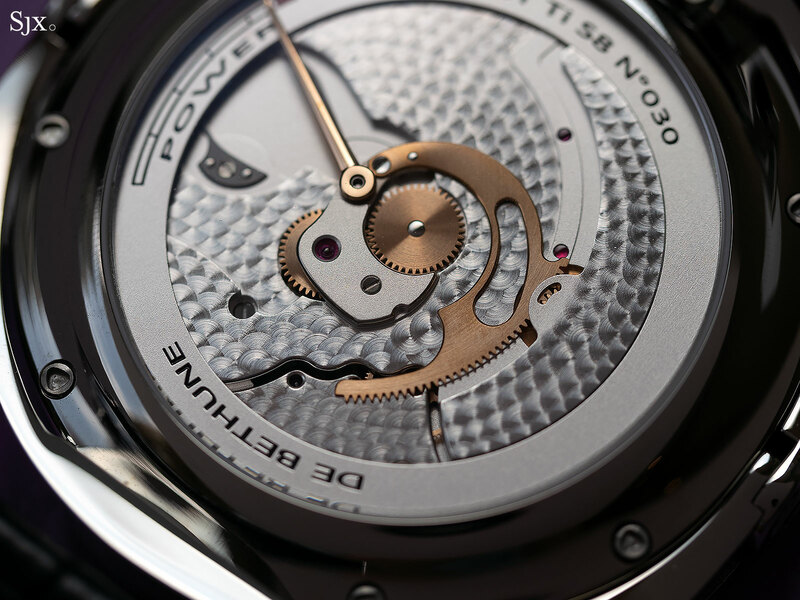 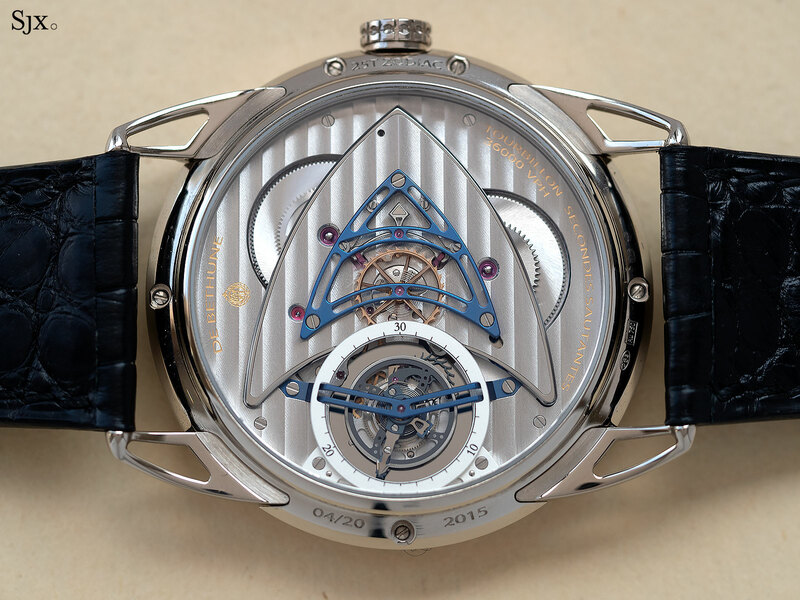 Over on the back the L.U.C 02.15-L movement is visible, with a power reserve indicator on the barrel bridge. 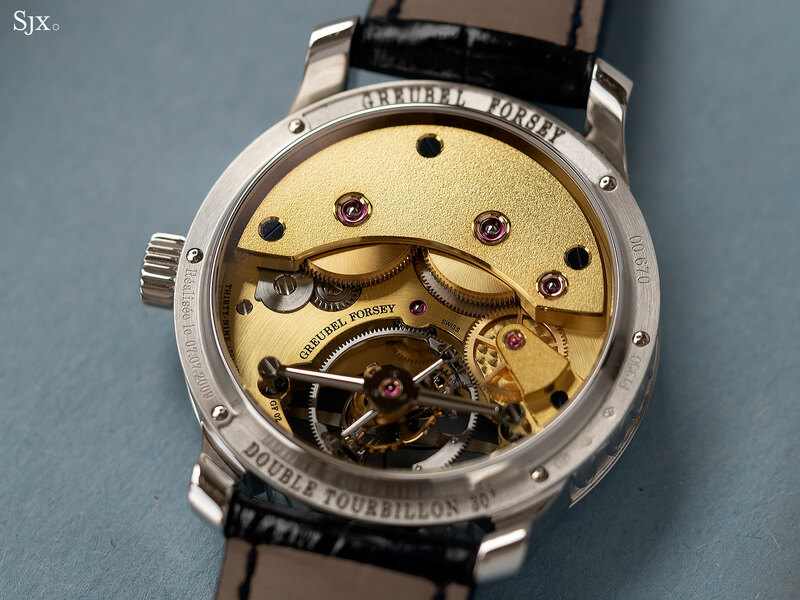 Fully wound the movement will run for nine days, thanks to four barrels. 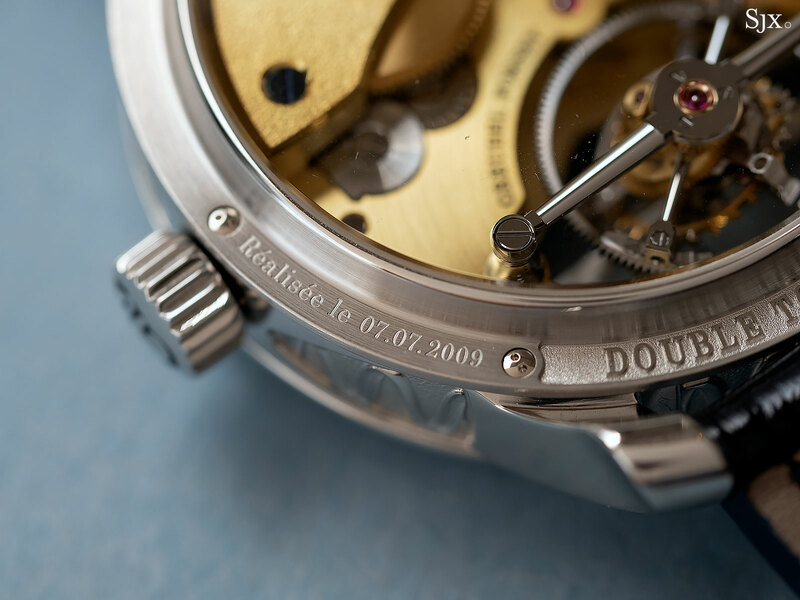 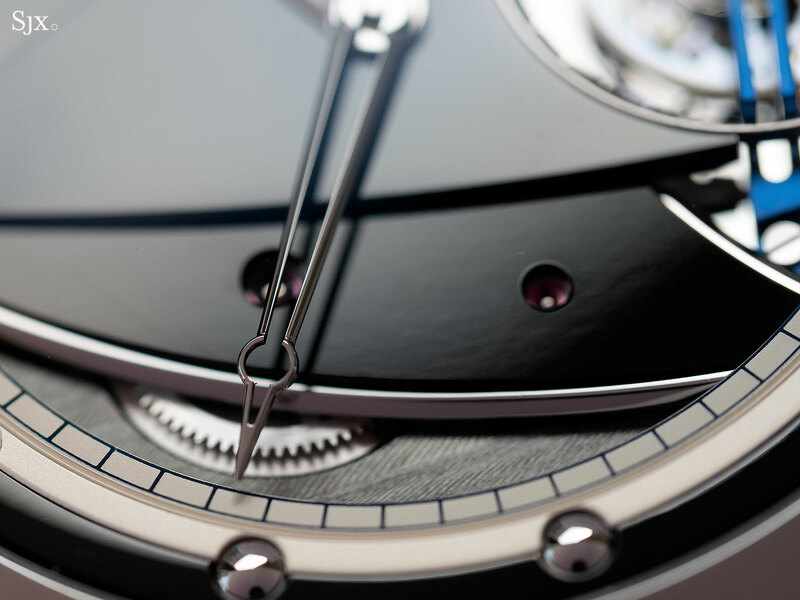 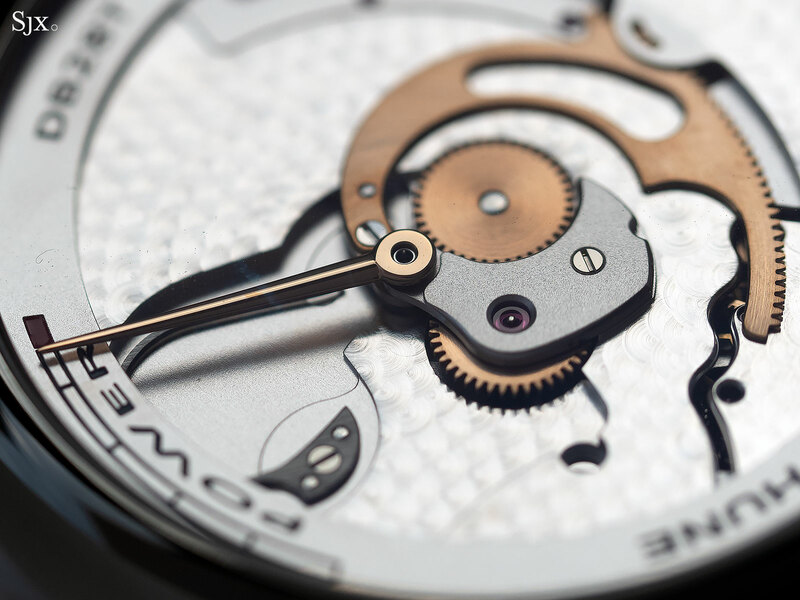 Like all of Chopard’s L.U.C movements, the L.U.C 02.15-L is produced in-house, and like most of them, is certified with both the Poinçon de Genève, or Geneva Seal, and COSC chronometer rating. 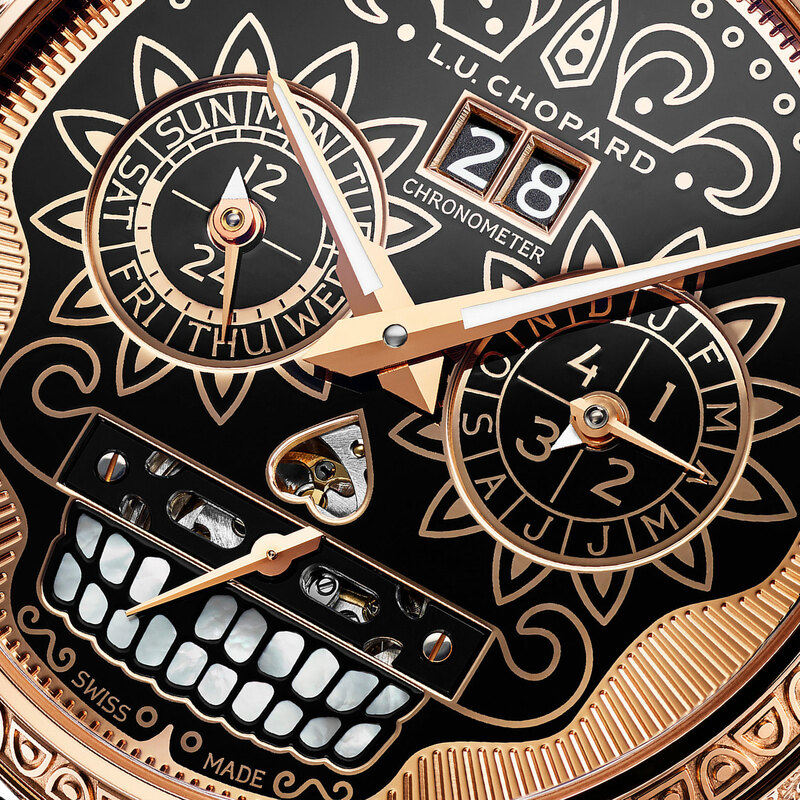 The L.U.C Perpetual T Spirit of la Santa Muerte (ref. 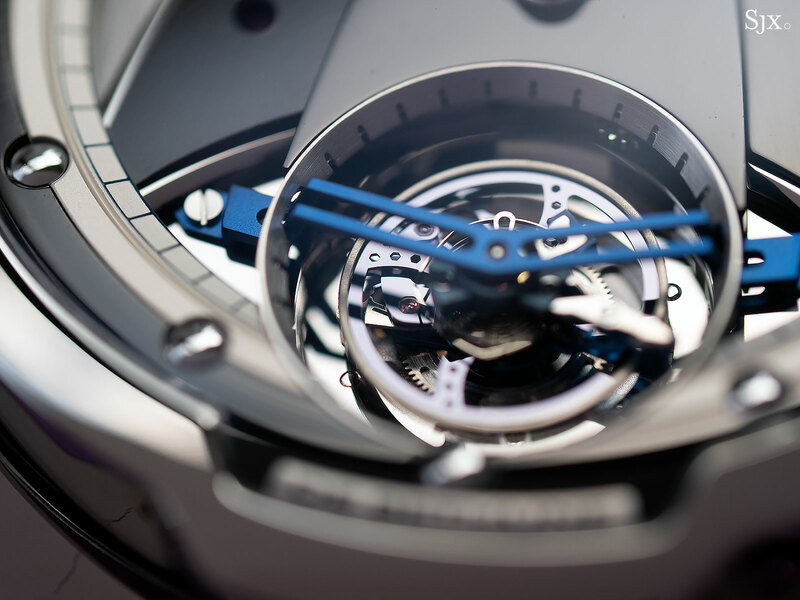 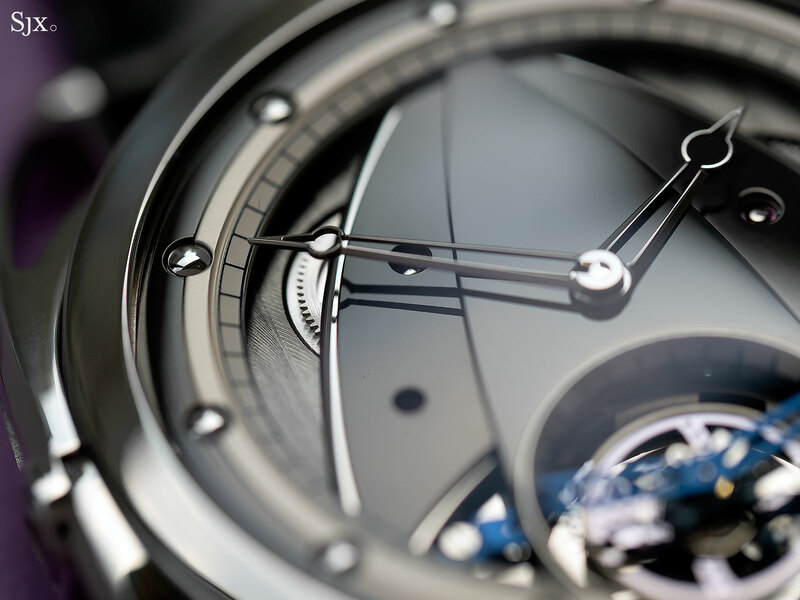 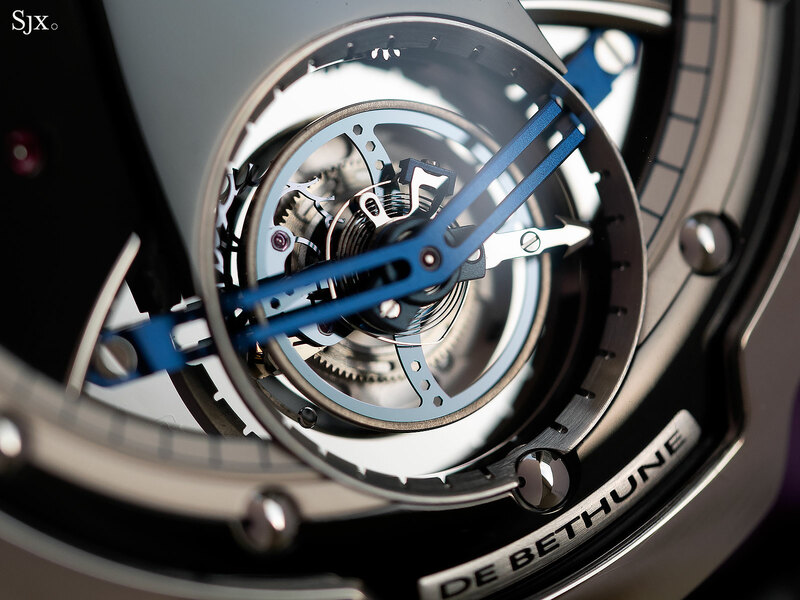 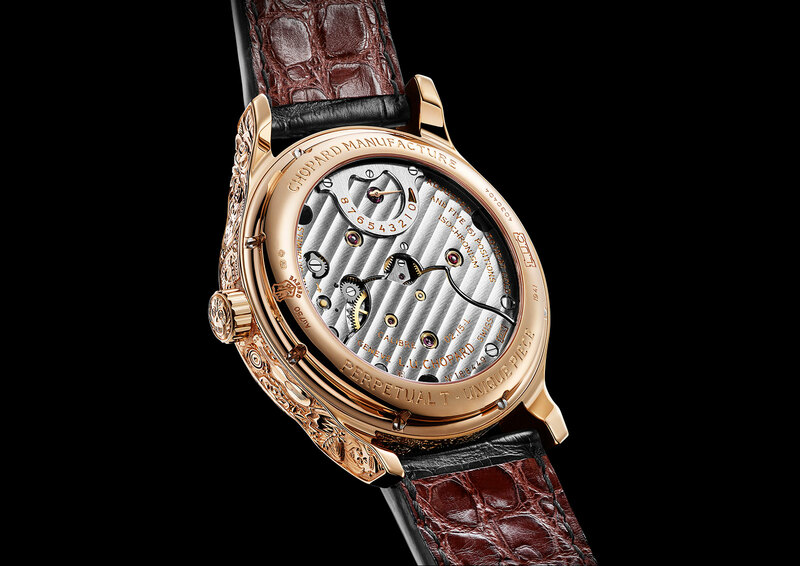 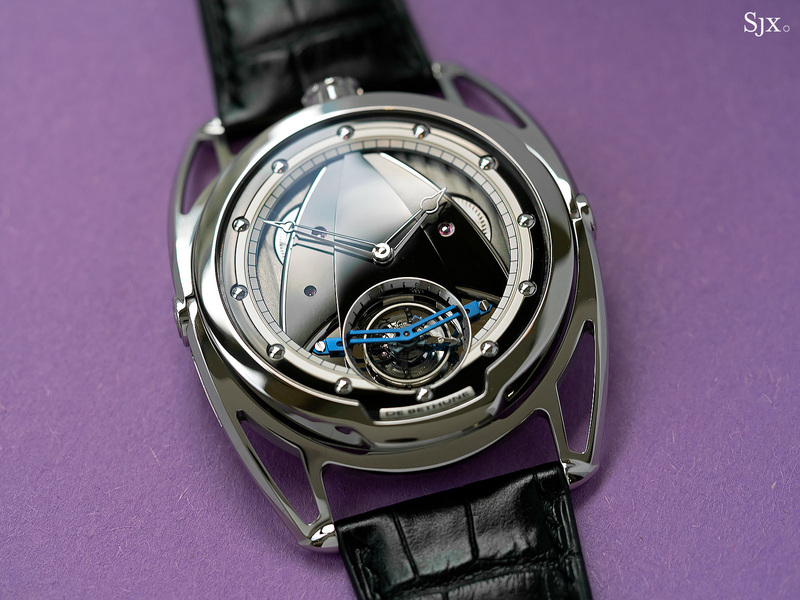 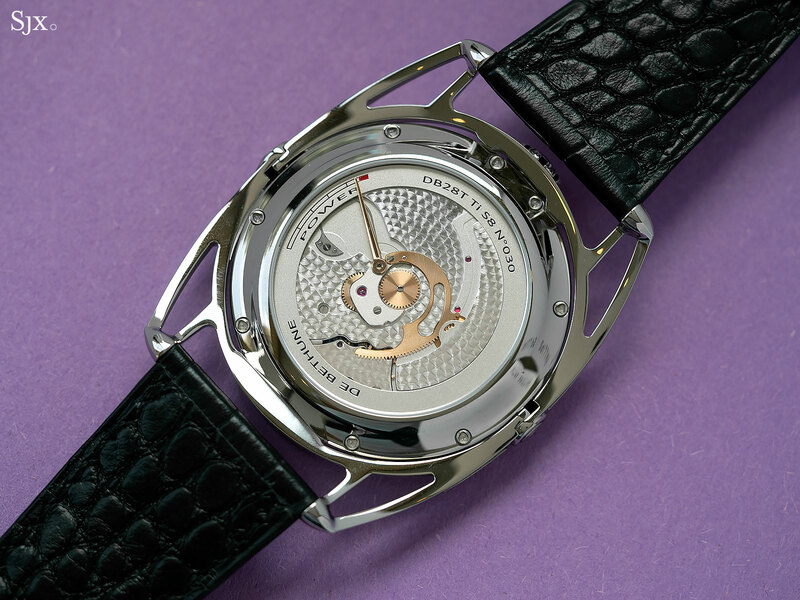 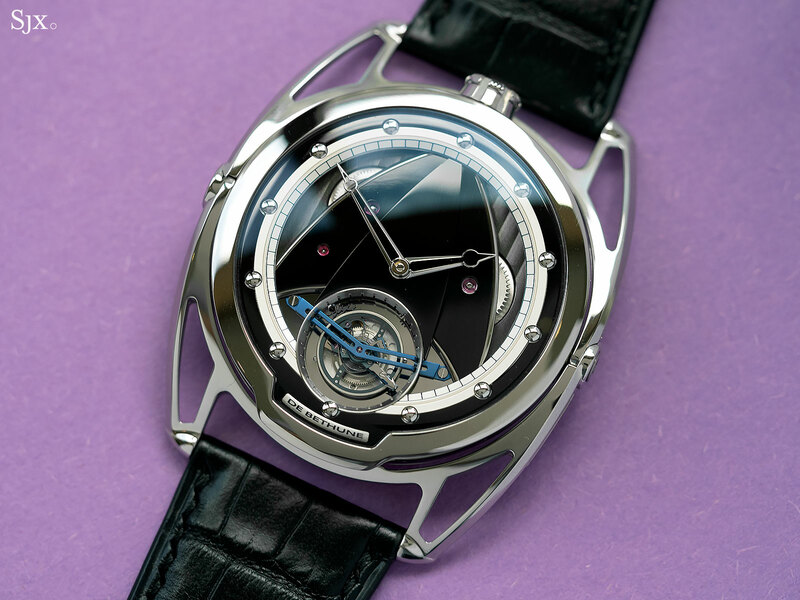 161941-5005) is a unique creation, priced at SFr244,500. 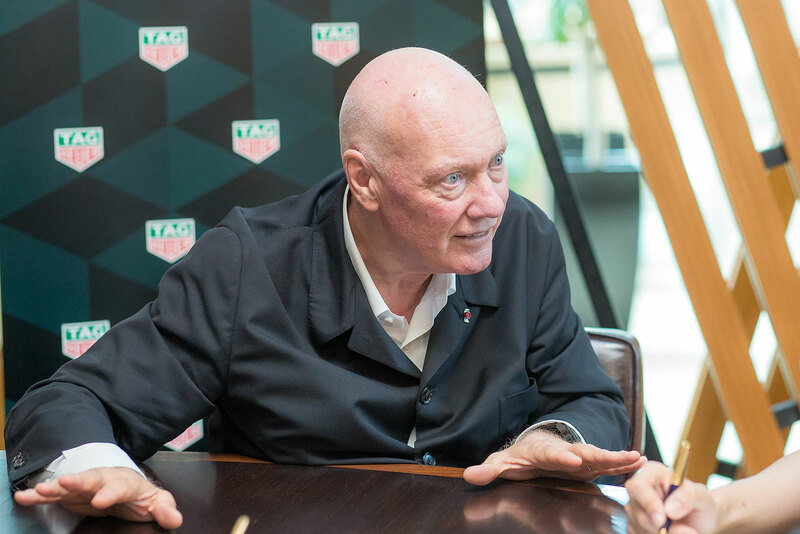 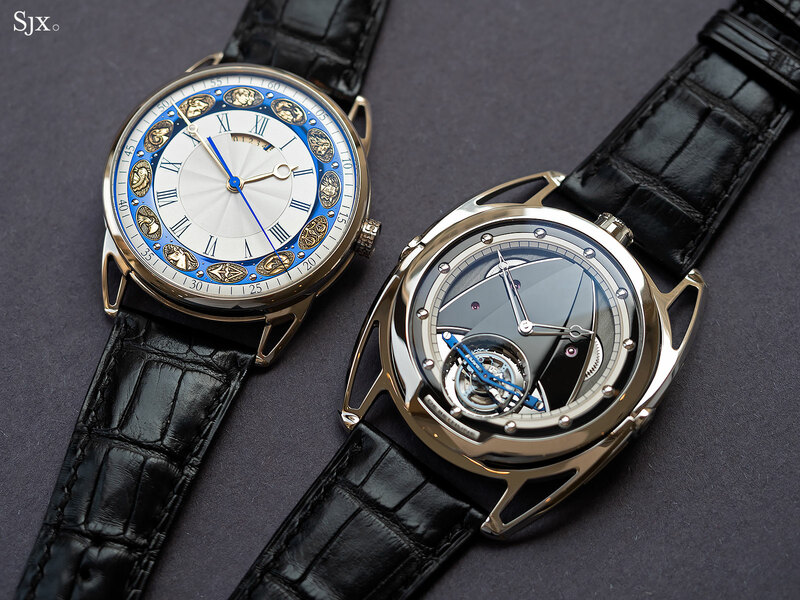 However, similar timepieces are available as custom orders.